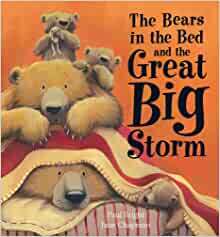 I've been trying to find a book with an element of weather in the title for the What's in a Name 2014 Challenge all year without any luck. Frost Hollow Hall (my first choice) was unavailable; The Wind in the Willows (my plan B book) was uninteresting; and Snow Garden (picked up on a whim from the library) was unreadable. I tried a couple of other snow-related titles (Snowblind and In Falling Snow) but ended up not finishing either book. And I'd already read Gone With the Wind, and I just wasn't in the mood for The Boy Who Harnessed the Wind. Obviously, weather isn't my thing. What's in a Name Challenge: 6 books read; 0 to go!!! "The Moonstone will have its vengeance yet on you and yours!" Stolen from a Hindoo shrine by an Englishman, the Moonstone is a large yellow diamond with a curse on it--a promise of "certain disaster to the presumptuous mortal who laid hands on the sacred gem, and to all his house and name who received it after him." Upon his death, the Englishman leaves it to his niece, Rachel Verinder, in his will. It is presented to her by her cousin, Mr. Franklin Blake, on her birthday. Twelve hours later the diamond disappears. What follows is the mystery of the Moonstone. T.S. Eliot called this novel, "The first, the longest and the best of the modern English detective novels." This mystery is a great example of Victorian fiction. Each section is narrated by a different character who was witness to certain events surrounding the mystery, like the rambling Gabriel Betteridge, one of Lady Verinder's servants, and the tedious Miss Clack, Mr. Bruff, the straight-forward lawyer, and most important of all, Franklin Blake himself. (I enjoyed some narratives more than others, can you tell?) While I didn't love this book as much as I did Collins' The Woman in White, I did enjoy the many characters and the cautious unfolding of the mystery. Needless to say, at 446 pages this book is not a fast-paced page-turning thriller. It moves slow, but it's still a fun mystery. Wondering what really happened to the Moonstone kept me reading for 400+ pages. 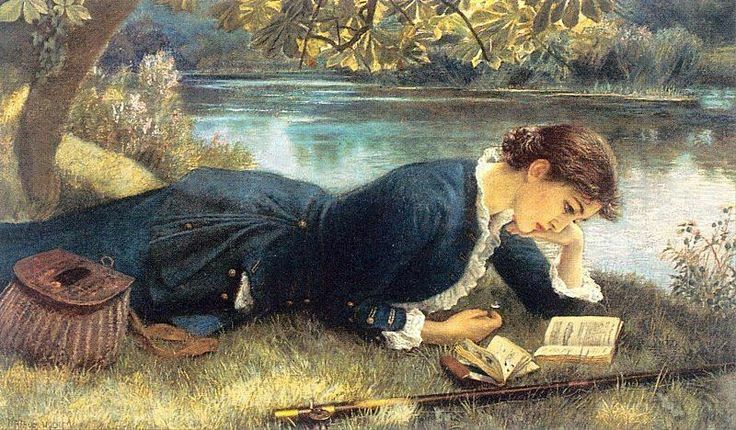 But then, I really like Wilkie Collins. I can't wait to read his novel, Armadale, next year. P.S. If you've never read Wilkie Collins before I recommend reading The Woman in White first. It's my favorite (and his best). Oh, the books I could read in a room like this! 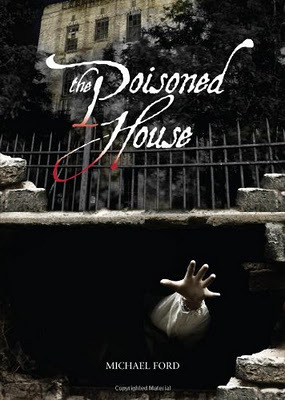 The Peril: Greave Hall in 1855 is not a pleasant place for scullery maid Abigail Tamper. Her mother died almost one year ago, old Lord Greave seems to be losing his mind, his only heir is off fighting in Crimea, and Mrs. Cotton, the cruel and autocratic housekeeper, seems to be hiding her own dark secrets. There's something else disturbing this unhappy household--an otherworldly presence. Is it the spirit of Abi's mother trying to warn her, or someone much more dangerous? My Thoughts: Abi Tamper is a great narrator. Though she's just a scullery maid at Greave Hall now, her mother taught her to read and write and she grew up reading books from the library and playing with Lord Greave's son, Samuel. She's a brave and tenacious heroine, determined to figure out what (or who) is haunting her...and why. While there are some ghostly occurrences here and there, this novel is more mystery than ghost story. And there are plenty of secrets buried within Greave Hall that give this story an added Gothic feel. I really enjoyed it. It's interesting, and not too scary, and it reads fast. I didn't even mind the first-person narration. What a great way to wrap up this year's R.I.P. challenge! I read four books in all. It's been a a lot of fun and I can't wait to do it again next year. "...explore something, even if it's just a bookshelf. Make a stab in the dark. Read off the beaten path." "On a very cold and lonely Friday last November, my father disappeared from the Dictionary. And not only from the big glass building on Broadway where its offices were housed. On that night my father, Douglas Samuel Johnson, Chief Editor of the North American Dictionary of the English Language, slipped from the actual artifact he'd helped compose. That was before the Dictionary died, letters expiring on the page. Before the virus. Before our language dissolved like so much melting snow. It was before I nearly lost everything I love." When I read those opening lines I knew I was going to love this book. Alena Graedon has written an imaginative dystopian novel where the printed word is all but dead and everyone relies on handheld devices called Memes for their news and entertainment...and even their words...instead. Anana Johnson's father, Douglas, is one of the lone hold outs. But then he disappears--leaving Anana a one-word SOS: Alice. Anana finds herself falling down the rabbit hole as she tries to figure out what happened to her father and, more importantly, why. This is a thought-provoking novel of words and language, technology, communication, addiction, and love. When a new virus, the "word flu", begins robbing people of their ability to speak they turn to their Memes and its Word Exchange for the words they seek. But who's controlling the Exchange? Because whoever controls the meaning of words, can also then control what people think. The future Graedon imagines in this book is a chilling look at what can happen when technology goes wrong. Talk about a haunting conspiracy theory! "The end of words would mean the end of memory and thought. In other words, our past and future. It may seem to some readers that the dystopian future we're imagining is exaggerated or, at the very least, a long way off. We can only hope, for all our sakes, that they're right. Because if not, then these and all words may very soon lose their meanings. And then we'll all be lost." I thought this book was a lot of fun. Each chapter is headed by a letter of the alphabet and a corresponding word and definition. (Perfect for a word junkie like me.) And not only is Graedon's writing amazing, but I also loved her quirky characters. In fact, this is one of the best books I've read all year. It has mystery and humor; romance and suspense. 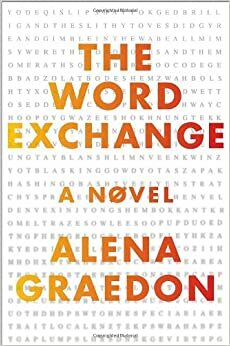 The Word Exchange is a remarkable and unforgettable read! "Bloody Mary. Bloody Mary. BLOODY MARY." The Peril: A candlelit bathroom. A line of salt under the mirror. Four teen-age girls holding hands. Let the summoning of Bloody Mary begin. It's Jess's idea, but Shauna, Anna, and Kate all agree to the plan. And the thrilling fear of seeing the ghostly Mary through the fog of the mirror is a lot of fun until the ritual goes wrong and Mary gets out. Now she's gotten a taste of Shauna's blood, and she wants more. The girls have to figure out how to get Mary back in the mirror before time runs out. My Thoughts: I remember playing the Bloody Mary game at sleepovers when I was growing up. None of us actually believed in ghosts, or in the legend of Bloody Mary, but there was always this inch of doubt when it was your turn to stand in front of the mirror. If I'd read this book back then, there's no way I would ever have considered saying Mary's name out loud even in fun. This book is that scary, especially when Mary claws her way out of the mirror and attacks Shauna. I don't recommend reading this book late at night if you're home alone. Mary is genuinely creepy and the absolute last ghost you want following you around in every and any shiny surface (from car windows to shower doors). Monahan does an excellent job of building suspense and I liked the mystery she created around Mary Worth, and how and why she became Bloody Mary in the first place. This is definitely a R.I.P.-ping read (my third!) 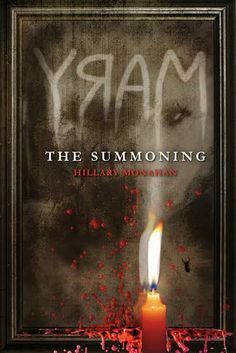 and a book that will haunt you. I loved it. Here are a few memorable lines from some recent reads that are not only well-written, but wise. "Mediocrity always lives in fear of excellence." "It's just as exciting to buy a new experience as it is to buy a new dress--more so, in fact." "The chess piece cannot play for both black and white." whenever I see a merry-go-round I'm going to ride on it..."
"They built it out of stone--dark gray stone, pried loose from the unforgiving mountains. It was a house for those who could not take care of themselves, for those who heard voices, who had strange thoughts and did strange things. The house was meant to keep them in. Once they came, they never left." 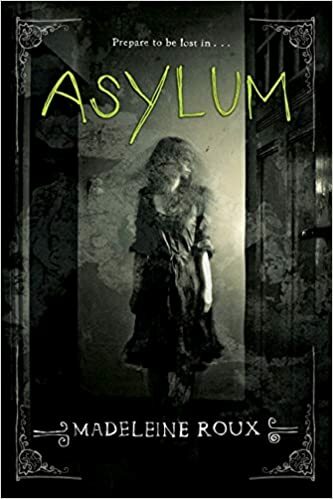 The Peril: Dan, Abby and Jordan are attending a summer program for gifted students, but Brookline, the dorm where they are staying, used to be an insane asylum. And Brookline holds some very dark secrets (especially down in the locked lower levels). Dan is the first one to start seeing things that aren't there and having nightmares; but he's not the only one haunted by Brookline's disturbing past. Then a student is found dead. Was he killed by one of them, or by something else? My Thoughts: Bad things happening in an asylum for the criminally insane is a bit of a cliche, but can you think of a creepier setting? No wonder Dan starts to question his own sanity. Roux even got me wondering what was real and what was just hallucination. My favorite part of the book, though, has to be the illustrations--unsettling black-and-white photographs of patients and rooms, some of which came from actual asylums. Talk about eerie. I did wish Roux had spent a little more time developing the mystery, especially the asylum's back story, but overall I enjoyed this book. It's suspenseful and scary and fun. (And a great second read for this year's R.I.P. challenge. "The story of Oda Sotatsu begins with a confession that he signed." A confession that isn't true. Then Oda Sotatsu stops talking. In jail. At the trial. When he's condemned to die. He never says a word. Jesse Ball is determined to find out the reason why. So he interviews Oda Sotatsu's family, reprints the newspaper coverage from the trial, talks to the prison guards, and finally tracks down Jito Joo, the mysterious girl who faithfully visited Sotatsu through it all. 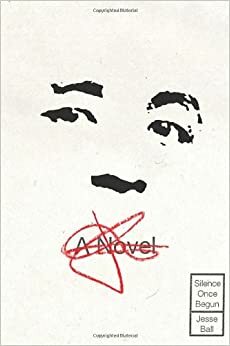 Set in Japan, this novel reads like a literary documentary. Even though Oda Sotatsu remains illusive throughout, the mystery of his silence is oddly compelling. The author himself, acting as interviewer and scribe, becomes a character in his own novel. I thought it was a unique and interesting way to narrate a story and that it worked surprisingly well. This book, which is only 232 pages long, reads super fast. It's stylistic, and different, and worth checking out. I liked it a lot. I don't know what Jesse Ball's other novels are like, but I intend to find out. On Reading Bingo. I'm one book away from achieving blackout on my bookish Bingo card. It's been a fun way of tracking the books I've read this year, and it's pushed me to read a few books I wouldn't otherwise have read--like a book based on a true story (Z: A Novel of Zelda Fitzgerald) and a book with non-human characters (The Humans by Matt Haig), not to mention a graphic novel, a book with a dragon (Seraphina) and a book set in another world (The Coldest Girl in Coldtown) from the YA Bingo card. If you've never played bookish Bingo there's still time to print out a card and join the fun! On my growing TBR pile. At the start of the year I set a goal to get my stack of 29 TBR books under 20, and I was making real progress. In fact, I had almost reached my goal of having less than 20 unread books on my shelves, but then .... I ordered a few books on Amazon, and a few more from Powells, and I had a birthday ... and my once-shrinking TBR pile ballooned seemingly overnight to 34 books! So I'll be setting a new goal next year: 15 TBR in 2015. (And I'll try to keep my book buying in check until then.) Wish me luck!